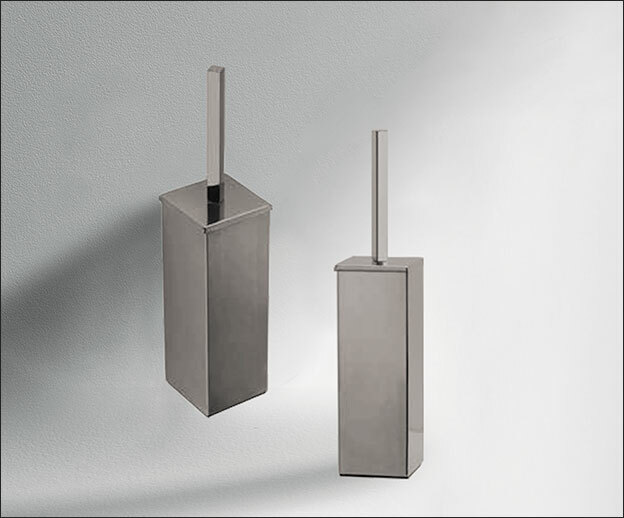 Beautiful quality and the latest contemporary styling, this floor & wall mounted toilet brush set is supplied as part of a larger collection of black chrome bathroom accessories available in brushed or polished finish. The wall mounted version is fitted using a screwless adhesive system which allows quick and strong installation. 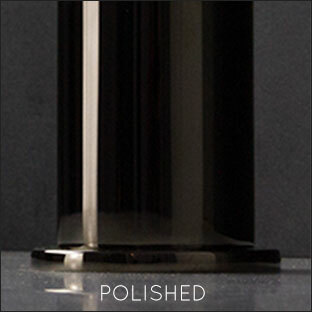 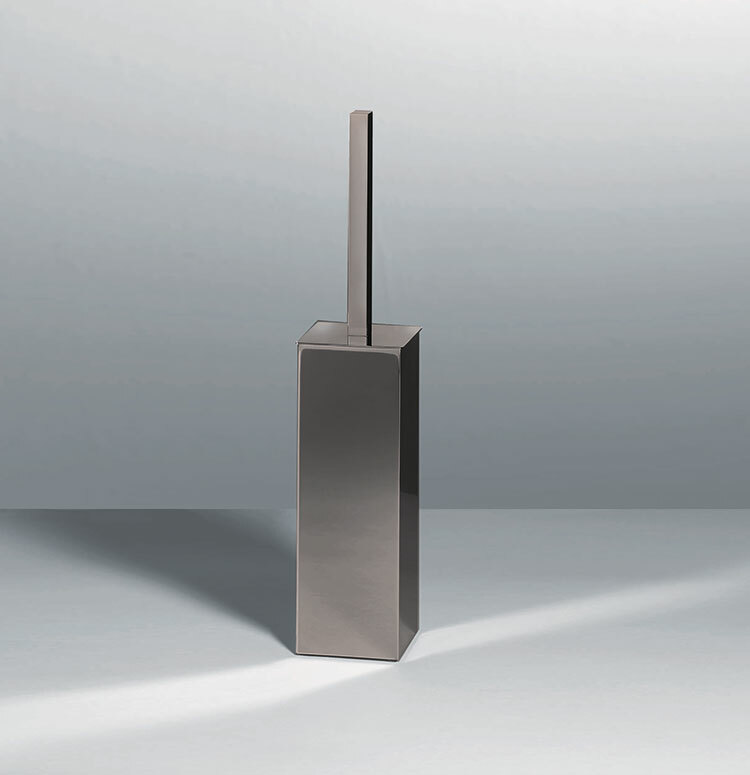 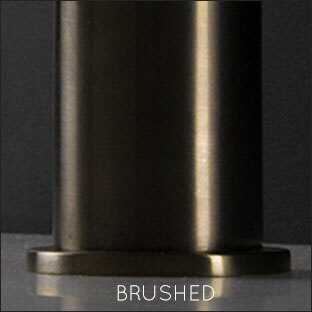 * Brushed or polished unique finish. 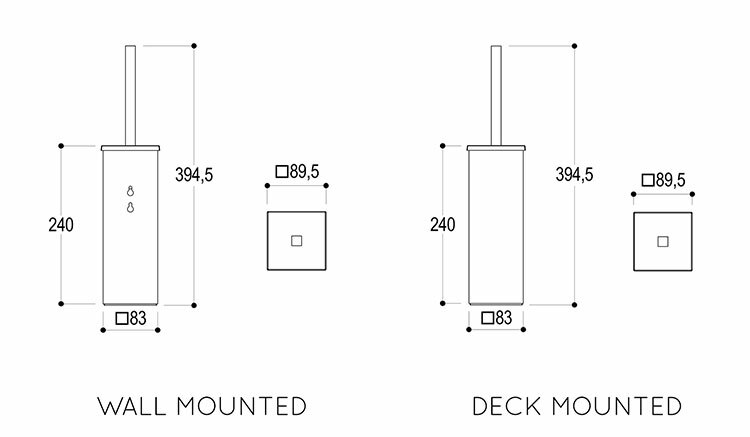 * wall mounted screwless fitting.